Tap Battle has reset for another month, so too has the the rewards! Illusory Dungeon: Heir of Light begins today and lasts until 11th of November at 6:59AM UTC. Day 1 of the event kicks off with floors 1-40 being available, and 20 floors a day will become available from day 2 onwards, until all 100 floors are unlocked and playable. For every level (5 floors) completed, you will be rewarded with Orbs, various materials, and accessories. On top of these 100 floors, there are Extra Stages that offer new challenges, new opponents, and more rewards. These unlock from the 16th of October at 7:00AM UTC, once you clear the 20th floor. One Extra Stage is added per day, for a maximum of 3 Extra Stages. Daily Quests are available where you can earn 200 Feathers, as well as 100 Great Badges every day. On the 15th of October at 7:00AM UTC, Tap Battle Quests will also become available, where you will get the chance to earn Orbs amongst other rewards. 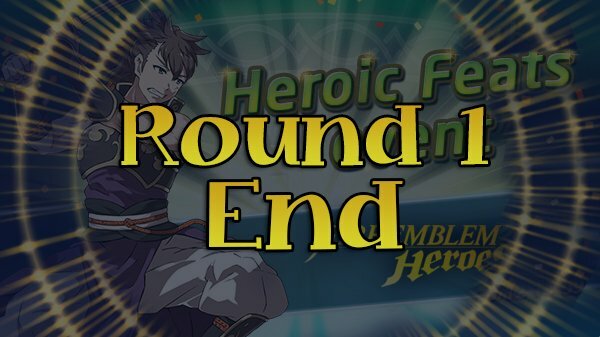 Finally: Round 1 of Heroic Feats has come to a close! The results will be revealed tomorrow at 7:00AM UTC, along with the beginning of Round 2. One way or the another, there will be Fury.